Access to affordable housing increases stability for vulnerable households and helps avert homelessness. 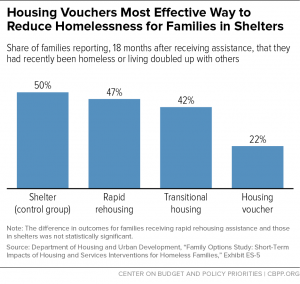 Significant bodies of research show that rental assistance decreases the likelihood that low-income households falls into homelessness. Quoted from Shinn, National Alliance to End Homelessness, 2009. “Approximately 150,000 unaccompanied youth and young adults between the ages of 18 and 24 experience an episode of homelessness each year. However, resources to serve them fall far short of demand. As a result, approximately 15,000 youth were found to be unsheltered (sleeping on the streets, in abandoned buildings, tents, cars, or other places not meant for human habitation) on a single night in January 2015, and many more likely went undetected.